This has been hard to write for me. I've spent over 50 hours with Final Fantasy XII and for most of that I felt like I didn't really "get" it. I never connected with the story or the characters and that's definitely not a good thing. I wanted the game to "click" after the first few hours so I could write some impressions... but it never really did. So, I waited until I finished to write a full review. Let's get to it. The story is set on a grand scale. The first half hour is a giant cutscene full of lots of politics and war. The grand scale continues throughout the storyline of the game. It ends up dwarfing the main cast of characters. It's so grand that it feels removed from the actions of your characters most of the time. The last few hours tie the political events to three of the six characters, but it takes way too long for that to finally happen. Final Fantasy games always invent their own terms but this is the first Final Fantasy where it feels overdone. If I remember correctly, this is a trend that carries through to Final Fantasy XIII too. There are terms that are never directly explained but which are obviously important to the plot. Magicite, Nethecite, Day-Affected Nethecite. Not to mention the various and confusing names of different countries and rulers of those countries. The characters seem very impressed by these terms but I didn't care for most of the game because they were never explained to me. I eventually figured it out, but once again it took too long to get there. The scale is grand, the stakes are high, but the main characters don't actually change or grow that much. Final Fantasy XII does not have a character driven story. The main character, Vaan, isn't actually the protagonist of the story. He doesn't really do anything. Things just sort of happen to him or around him. He's never that important. It's really disheartening to see this character that I have to use for the entire game be so unimportant to the plot. 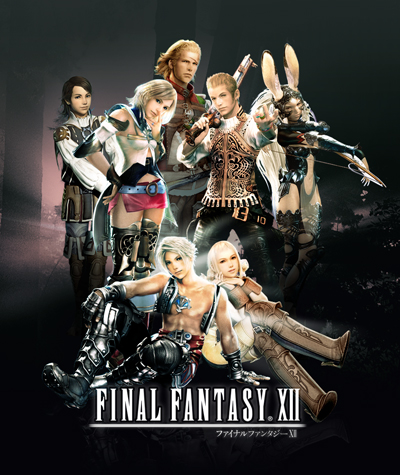 The creators of Final Fantasy XII have even said that Basch and Ashe were originally the main characters and that Vaan and Penelo were added very late in development because they were afraid teenagers wouldn't be able to connect with the more mature characters in the game. It's sad. I think I would have liked this game much more if Basch or Ashe was the main character. While the characters barely develop and the plot is grand and plodding at least the world is well done. Final Fantasy XII is set in Ivalice which is one of the few worlds that actually gets used across a number of games. The Final Fantasy Tactics series is all set in Ivalice as well as a non Final Fantasy game by the same developer, Vagrant Story. The world has different species with complex interactions. It has many regions, cities, empires, and political factions. 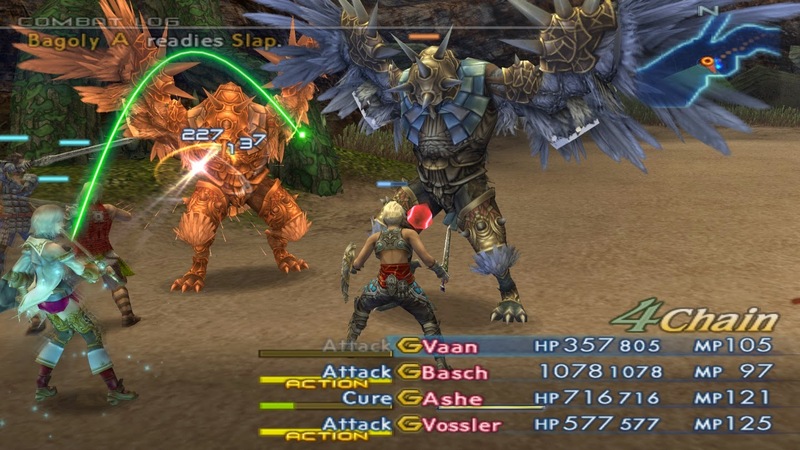 Although they aren't used to great effect in Final Fantasy XII, they are well realized. It actually makes me really excited to get around to the Final Fantasy Tactics games again. I would love to spend more time in Ivalice if it were used better as a setting (which it is in other games). The way Ivalice is used in Final Fantasy XII is to create a large open world. That sounds great when I write it down, but in fact, this game feels like a single-player MMO with all of the drawbacks of MMOs but none of the benefits of playing with other people. Wandering the open world is novel at first but once you get some decent Gambits set up it becomes a complete grind. And that trend continues for the rest of the game. That's the main problem with the Gambit system. If you're even semi-intelligent with your Gambit set-up the game ends up playing itself during battle. It lets you program your characters to react in intelligent ways based on certain conditions. Boss fights in this game became snack breaks for me. My Gambits were solid and Bosses have a ton of health. I would put my controller down, make a snack, and eat that snack while the battle played itself out. I'm not lying, this is literally what I did for every boss in the last three fourths of the game. While the Gambit system ends up playing itself, at least the License Board progression system is interesting for awhile. Basically, characters gain License Points by killing enemies. These can be spent to acquire Licenses for gear, magic, or abilities on the License Board. You still need to purchase the gear, magic, or ability but to actually be able to use it you must have the License for it. For the first half of the game it's really fun. You have to figure out which way to grow each character and balance the different abilities and gear. Unfortunately, in the second half of Final Fantasy XII everyone basically becomes a Red Mage. If you're unfamiliar with the term, Red Mages in the Final Fantasy series can use magic and really good melee weapons and generally are able to use most of the armor in a game. They are the jack of all trades in the Final Fantasy universe. This is what happens once your characters progress far enough in the License Board. Everyone knows every spell, every ability, and can equip every weapon, armor, and accessory. At that point in the game the License Board becomes useless as a progression system. The complexity of the Gambit and License Board systems adds up to a very slow start for this game. The first three to six hours feel like you're still in a tutorial and don't have access to everything you need. It's really frustrating. But it's not just the first six hours that feel slow. The pacing in Final Fantasy XII is bad throughout the whole game. There are long sections of necessary grinding and spending time in the wilderness followed by super long info-dump cutscenes which often run longer than fifteen minutes. Most of the time I could make a snack during a cutscene too. They were that long and un-engaging. I would be remiss to not mention the music in a Final Fantasy game. Sadly, Nobuo Uematsu only composed the title theme for Final Fantasy XII and it shows. The rest of the music is lackluster and unmemorable. The music of Final Fantasy defined the series up to this point, but with the loss of Nobuo Uematsu the Final Fantasy series takes a serious blow in the music department. I turned down the audio for most of the game and listened to podcasts instead. I can't believe I did that with a Final Fantasy game, but the music just wasn't good. So where do I sit with Final Fantasy XII? It has tons of potential and it just doesn't live up to it. I wanted this game to be so much more than it was. It tries to do new and interesting things. It has such high production values. I thought it would be near the the top in my Final Fantasy Ranking... but it won't be. I didn't enjoy most of my time with the game. There is no way I would have finished it if it didn't have the Final Fantasy name attached. The only way I'll ever replay this is if they do a complete remaster and fix the grind and the pacing. Take that as you will.